Having fun playing outdoors. A puppy that wants to play fetch. 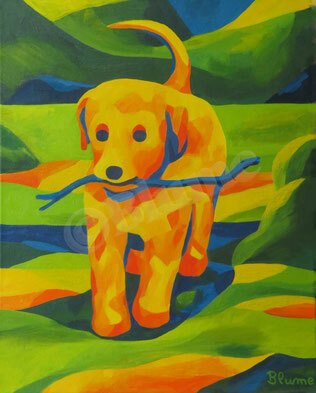 In this painting I have used a broader range of colours and more rounded forms to express the joy of play and the urge to move of the little doggie.